We are a Top U.S. Designjet Reseller. 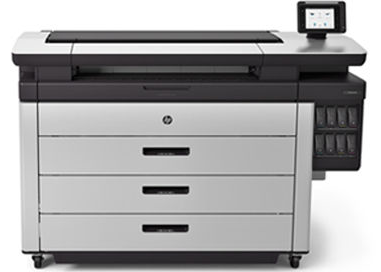 In order to maintain our status as a top national HP Designjet reseller and continue our growth, we need volume which allows us to sell HP Designjet printers for less. Click here for more details about Topaz Engineery Supply. Click here for a our Ultra Low Prices and detailed Quick Quote on the PageWide Model(s) of interest. Do the work of two printers with one MFP - faster. Focus on your project, not the printer, up to 4 rolls with 100-page integrated top stacker. Protect and manage confidential jobs more securely, retrieve documents at the printer with a PIN. Help safeguard confidential information using a self-encrypting HDD with AES-256, Secure Disk Erase and IPSec. Move projects forward, up to 8 D/A1 pgs/min monochrome and color, quick 30-second first page out. Focus on your project, not the printer, up to 4 rolls with 100-page integrated top stacker. High performance: Print speeds up to 212 sf//hr on glossy and 548 sf/hr on plain paper Consistent, accurate color across prints with embedded spectrophotometer and HP Professional PANTONE color emulation. Print up to 20 D/A1 pages/min with accuracy, durability, and vibrant colors. And help keep costs low with efficient and secure workflows. Up to 50% savings in total production costs and print faster than alternatives, even the fastest LEDs. Boost production with instant printing and process efficiencies and your advantage with this powerful, efficient multifunction device. Experience the fastest large-format monochrome and color printing with up to 20 D/A1 pages/minute print speed - with up to 30% lower total production. Print monochrome and color technical documents at the same or lower cost than comparable LED printers. Deliver mixed monochrome and color sets in 50% of the time with a consolidated workflow. Cut post-processing time up to 20% with the first printer to include an integrated vertical trimmer. Professional photographers, graphic designers and print service providers can deliver photo-quality prints 2.5 times faster without losing quality. Print up to 2.5 times faster without losing quality, with 2400 nozzle-per-inch high-definition printheads. Spend less time on media changes and adjustments with dual roll support and automatic roll switching.